Beginners CourseThis course is for those who are just opening Maya for the first time, or those still getting started with it. 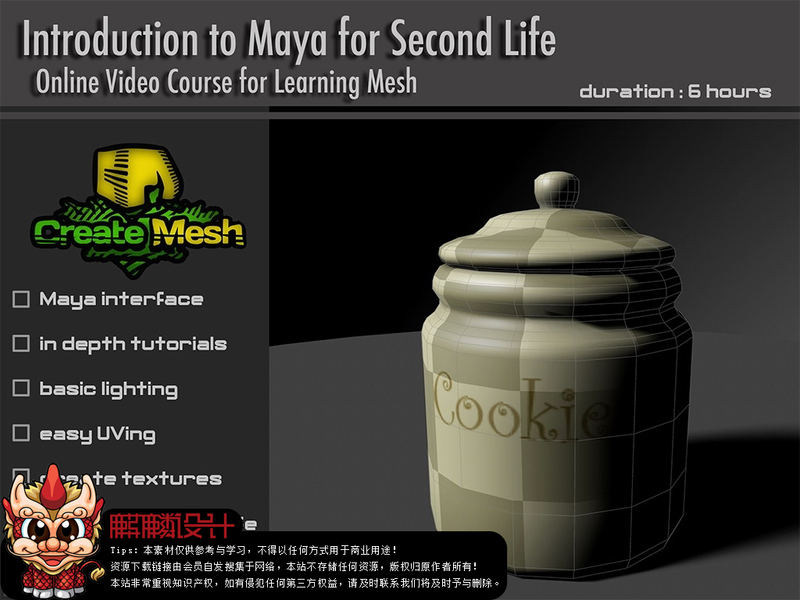 Students will learn everything from the basic layout of Maya, basic tools for working with mesh, basis for adding shadows and unique lighting effects to your model, and step-by-step tutorials for making a simple cookie jar, an old lounge chair, and a sword, and uploading to Second Life. Each lesson is designed to get users familiar with various tools and learn a variety of techniques to approach polygonal modeling.